The recent Defra Science and Innovation Fair showcased a number of projects producing a wealth of data, much of which has been made open. The Demonstation Test Catchments project looks at monitoring controlling pollution from agricultural run-off. You can find open data relevant to the project here on data.gov.uk. The Demonstration Test Catchments (DTC) project looks at how diffuse pollution from agriculture can be cost-effectively controlled to improve and maintain water quality in rural river catchment areas. The programme has involved over 40 organisations, and has operated as a research platform to support ~£8M of additional research investments. It also captures the combined effect of interactions and outcomes of policy-driven initiatives such as Natural England’s Catchment Sensitive Farming and the Catchment Restoration Fund. The DTC project is working in four study catchments across England (the Eden in Cumbria, the Wensum in Norfolk, the Avon in Hampshire and the Tamar on the Devon/Cornwall border in association with the Westcountry Rivers Trust). Between them, these catchments are representative of 80% of UK’s soil types and rainfall conditions as well as most typical farming practices in England and Wales. 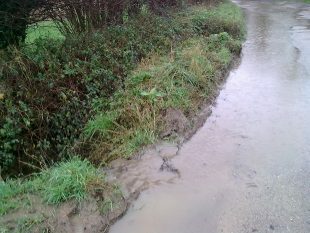 DTC outcomes show that storm events are an important driver determining the flow level of pollutants in river catchments where there is a high proportion of rapid runoff in certain ‘preferential’ flow pathways, such as heavy/non-permeable (clay) soils and drain flow in drained landscapes like the Wensum catchment. However, it is the mid-flow events that dominate nutrient and sediment delivery in catchments driven by groundwater flow. Results also show that nitrate is the dominant form of nitrogen delivered to water bodies in permeable catchments, but it is a minority component of the total nitrogen-loading in livestock farming systems. In these systems, the high stocking densities and abundance of manure production leads to enrichment of waters with both particulate and dissolved organic nutrient components, both of which stimulate algal productivity and microbial metabolism in-stream. A monitoring programme that focused solely on nitrate in a livestock farming catchment would be unlikely to be sensitive to current management or to targeted on-farm mitigation efforts in the catchment. Thus, the contrast between the responses of different catchments with varying soils and geology and differing degrees of rainfall has been critical in determining pollutant loads, and informing the selection of cost effective mitigation measures that would deliver optimal reductions of these pollutants in the catchment in a context specific manner. 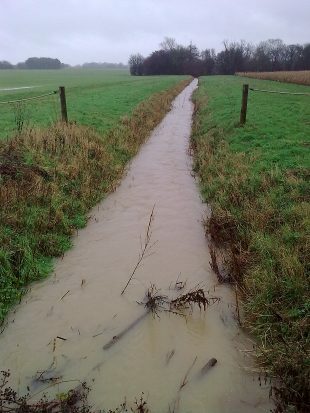 The project is now entering its final year under Defra funding; it is hoped that other funding streams can be called upon so we can continue monitoring the effects of mitigation measures in their individual catchments. We welcome new blog posts from both Defra colleagues and guests.